The Star Trek franchise was dangerously close to stagnation before J.J. Abrams took over the helm in 2009. The last couple of movies had received average reviews and the aging Next Generation cast had reached the end of their stories. And in a Hollywood system that is obsessed with nostalgia and reboots, Star Trek seemed to be moving further and further away from what originally made the series great. So when Abrams made his soft reboot, it felt like the franchise had been reinvigorated. A new cast, a new timeline – plenty of room for adventures. Now that Abrams has moved across to Star Wars, the baton has passed to director Justin Lin, of Fast & Furious fame, who amplifies the action in the latest instalment: Star Trek Beyond. After nearly three years of their mission into space, Kirk and his crew encounter a dangerous new enemy who leaves them stranded and scattered on a hostile planet. Kirk must reunite with his crew and destroy the enemy before they wreak havoc on the Federation. Despite the simplicity of the plot, this is the first film since the reboot that isn’t either an origin story or a recapitulation of an iconic Trek story. As a result, the entire film feels original and fresh in a way that Abrams’s films never quite managed. Star Trek has always been an innovative series, and Lin makes a conscious effort to return to this. Yet it has its share of problems, and I left the cinema – not for the first time this year – feeling that my expectations or hopes may have been a little high. Once again, the highlight of this film is its wonderful cast. Chris Pine and Zachary Quinto have settled into their roles and are establishing ownership of their characters, no longer trying to channel William Shatner and Leonard Nimoy. Karl Urban gets a larger role as McCoy in this film, cementing him as part of the Kirk/Spock/McCoy triumvirate that was so popular in The Original Series. Simon Pegg also gets increased screentime, reflecting his increased popularity within the series. Zoe Saldana is sadly under-utilised as Uhura, especially compared to the last two films. She is reduced to the role of “Spock’s girlfriend,” which undermines her character’s long history of challenging gender roles. Yet it is the synergy between the cast members which makes the film enjoyable to watch. There’s a genuine sense of camaraderie, a feeling that this crew has bonded during their mission. Some of the character arcs in this film felt a little worn. Both Kirk and Spock are thinking of leaving the Enterprise, for different reasons, and the “will-they-won’t-they” plot feels repetitious from the last two films. Kirk’s desire to live up to his father is borrowed straight from 2009’s Star Trek, and it’s tiresome to see him still dealing with those demons. Despite my dislike of these arcs, they are given a believable context: the ongoing mission into deep space is taking its toll, and the crew are plagued with fatigue. They’re questioning their purpose. The Enterprise at warp speed looks absolutely gorgeous under Lin’s direction. The choice of Justin Lin confirms the direction in which the studio wants to take Star Trek. The focus on action in the rebooted films is arguably the best or worst thing that has happened to Trek, depending on which fan you ask. 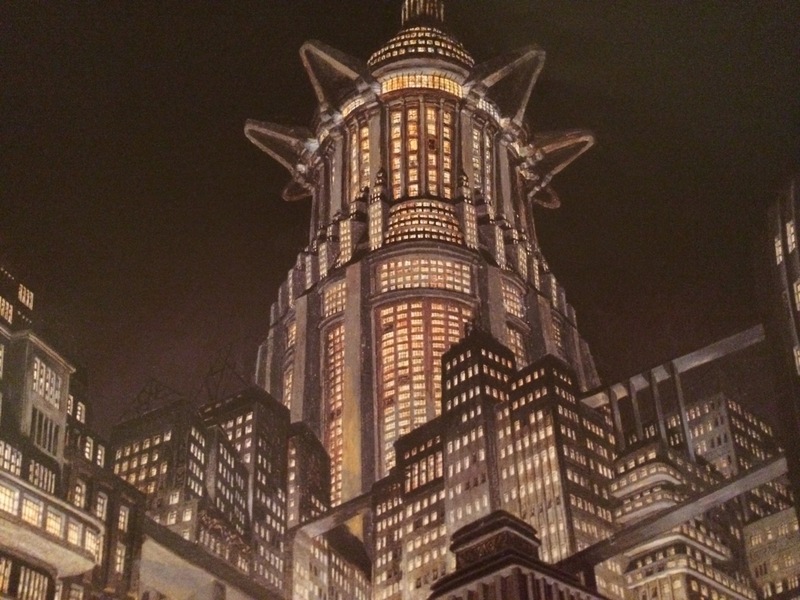 But Lin can certainly construct a kinetic action sequence. His work on the Fast & Furious films has a visible influence on Beyond, resulting in some of the franchise’s most dazzling action scenes. But this isn’t always the best thing. At one point, Kirk inexplicably finds an old-fashioned motorcycle, which leads to inevitable motocross madness. Why is the old motorcycle on this remote planet? Who cares?! Motocross!! Other action sequences felt like a shameless gimmick. One of the climactic moments, as the crew overcome the bad guys by harnessing music, had me rolling my eyes. It felt more like Fast & Furious than Star Trek, despite the desperate attempt to couch the whole sequence in vaguely scientific language. Star Trek film or motocross madness? The two previous Star Trek films, both directed by Abrams, deliberately tried to evoke our nostalgia of The Original Series and its subsequent films. Into Darkness, in particular, suffered in its attempts to revisit The Wrath of Khan. Although Beyond certainly has moments of tribute to The Original Series – Spock’s discovery of a photograph of the original crew is the most blatant – it is largely free of the need to recreate previous material. Whereas Abrams’s films were weighed down by their nostalgia, Beyond excels precisely because it doesn’t try to recapture the past. It is its own story. It is the first time that the rebooted cast have moved out of the shadow of their predecessors. With the unfortunate passing of Star Trek icon Leonard Nimoy last year, it feels like an appropriate time for the franchise to move beyond The Original Series and to boldly go where it hasn’t gone before. 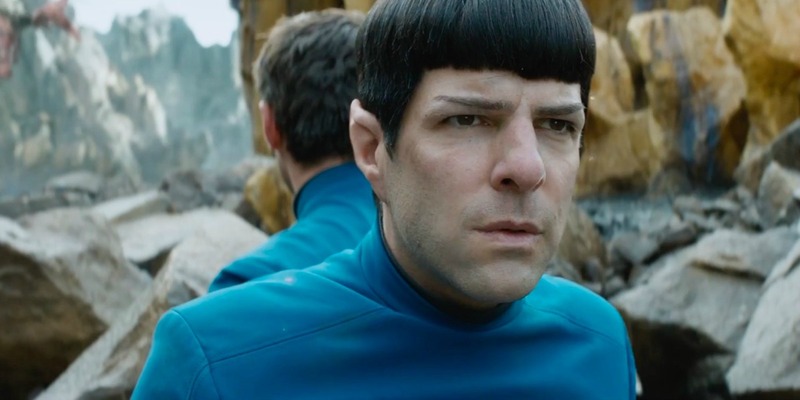 Beyond incorporates Nimoy’s death into the plot, with Quinto’s Spock receiving the news that his older counterpart has passed away. It is a poignant moment, both for his character and the wider film franchise, as we contemplate the future of Star Trek without Nimoy’s involvement. The film is dedicated to both Nimoy and Anton Yelchin (who died in a tragic car accident prior to the film’s release), adding a fitting gravitas as the credits begin to roll. Sadly, despite the hectic action sequences and the original story, the ending of the film left me feeling deflated. Perhaps the stakes weren’t quite high enough. Perhaps there was the broader sense that the films – like the original tv series – have become predictable and episodic (there’s even a quip in the film about this, as Kirk acknowledges that their voyage in space is beginning to feel episodic). Perhaps I’ve just become a jaded cynic. Whatever the case, I felt that the film simply fulfilled my expectations without exceeding them in any way. 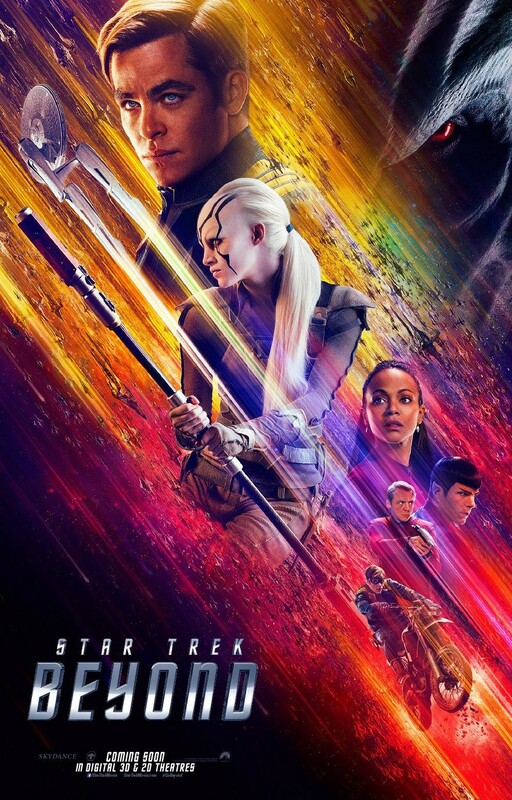 And is it just me, or are the titles of Star Trek films becoming increasingly abstract? The Wrath of Khan, The Search for Spock, and The Voyage Home all summarise their basic plots within their titles. Even First Contact and Insurrection manage to encapsulate the themes of their films. In comparison, Into Darkness and Beyond are confusingly vague. Beyond what? With the recent release of the teaser trailer for the Star Trek: Discovery tv series, it looks like the franchise is about to enjoy a resurgence in popularity. It will be great to have new episodes on tv again, bringing the franchise back to its rightful home. Yet I hope they make another film with the rebooted crew. It would be a shame to cut their journey short just as it feels like they’re on the verge of doing something great.